We have been growing fresh produce on our homestead lot since 1980. 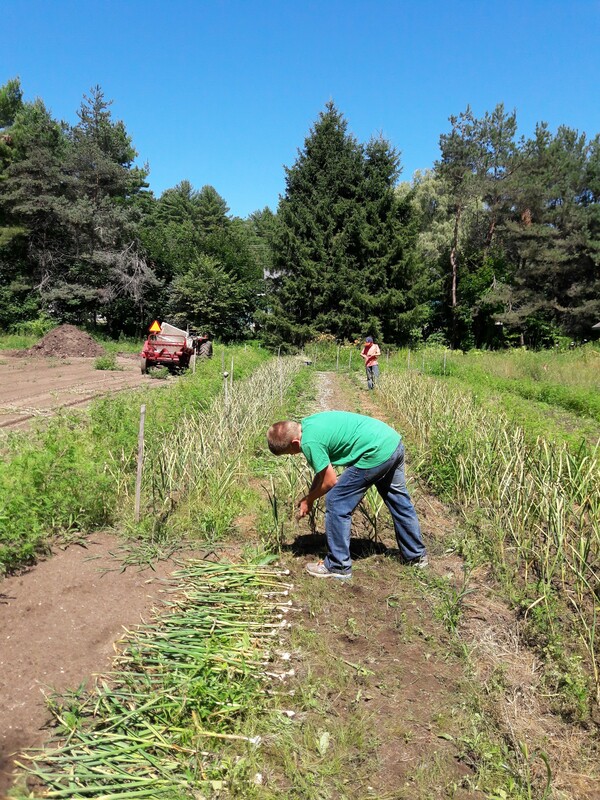 Many years ago we realized that the fertile sandy loam along the Saco River is ideal for growing hard-neck garlic. We invite you to try it and see for yourself! at farm (call ahead). Wholesale to local markets and restaurants. We are a small scale operation and prefer customers who are the same.